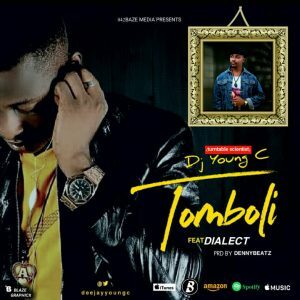 #ACA Winner 2018 Best Disk Jockey Of The Year and the CEO of 042baze – “DJ Young C” a.k.a >> turntable scientist has teamed up with one of the top legends in the history of music industry “Dialect” better known as Janglover Master. Both being on top of their games has stormed the music world with a hit collaboration titled “Tomboli”. Tomboli is a mind blowing track meticulously produced by Dennybeatz and without no doubt will be among the best collaboration of 2018.